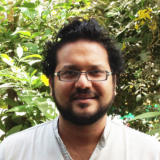 Amit has been a social entrepreneur & an avid practitioner of social & rural marketing serving the low income, rural and BOP communities in Health, WASH, Environment & Community-development (Education, Livelihood, Nutrition, Organic Farming) domains for more than 20 years, with high-impact work across Public, Private, Consultancy, Entrepreneurial and Not-For-Profit organizations. As part of this, Amit designed & led pioneering & innovative models which have been replicated in Public-Private arena, resulting in high-impact whereby positively affecting millions of people. He established a unique Health Products Social Marketing network across 50,000 villages at HLL Lifecare Limited and anchored WaterHealth International’s & Naandi Foundation’s Water business from inception to 700 community-locations reaching-out to 3 million people in 2.5 years whereby establishing the vastly popular Decentralized Water Kiosk Model. Prior to that, worked with the Aditya Birla Group, Agricultural Finance Corporation (AFC), and Unit Trust of India Investor Services Ltd. 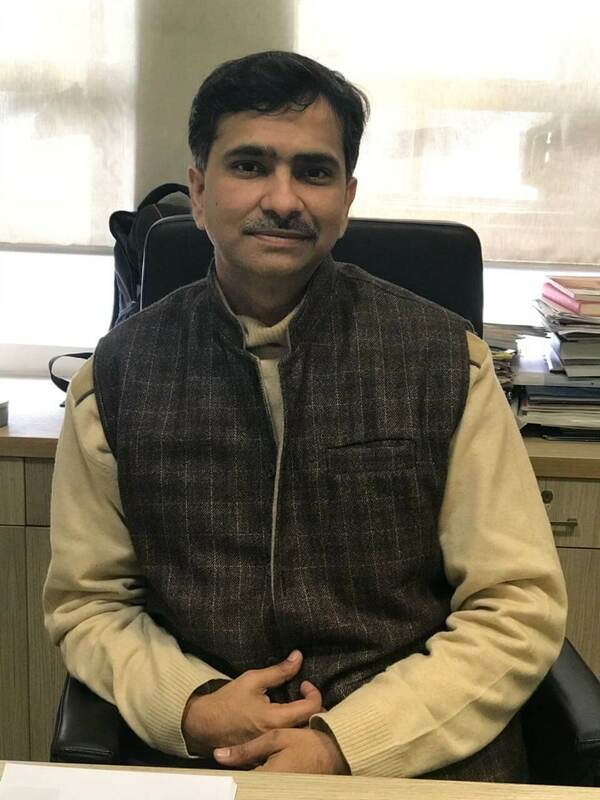 He has also worked as Consultant Advisor to the Rajiv Gandhi Foundation (RGF); as the First Entrepreneur in Residence (EIR) at the OP Jindal Global University (Ranked in Top Private Institutions in QS University Rankings for BRICS ). Amit’s work in the Health & Water sectors, became case studies at the Harvard Business School , at Michigan University , at NUS Singapore and also aired at NPR (National Public Radio), USA ; he has been featured as “Young Turk” by CNBC TV18 , won the Global Changemakers competition with Ashoka for Water Program ; Outlook Business recognized as leading Social Entrepreneur; recognized as amongst Top Young Social Entrepreneurs in India by AFI . Amit led E HealthPoint to be : Amongst 50 Most Innovative Companies by MIT’s Technology Review, Winner of the Global Tech Nokia Health Award, winner of the NASSCOM GENPACT Award , Winner of the SANKALP Award and also winner of the Changemakers & Robert F Johnson Foundation Award . E HealthPoint received top-most rating globally for Inclusive business for BoP from GIIRS Analytics & Ratings (powered by B Lab); was adjudged the highest Human Development Index Project by the Overseas Private Investment Corporation (OPIC), USA . Amit has till recently been the CEO of WISH Foundation (The Wadhwani Initiative for Sustainable Healthcare Foundation) which is working to build an equitable, innovation-led healthcare system that puts quality healthcare within easy reach of the poor with vision to reach 100 million poor Indians. As WISH’ CEO, Amit led & augmented the existing portfolio of implementation projects with a set of pioneering & innovative health-care initiatives with a high impact orientation with notable national & international partners. Amit believes that AFI is uniquely placed to provide an effective platform for young and ambitious innovators and entrepreneurs ushering in potential global-change models in the social entrepreneurship domain whereby generating high impact . Amit is currently Chief Mentor with Transform Rural India (TRI), an initiative of TATA TRUSTS and is also anchoring a start-up in education sector. Tralance Addy is a recognized entrepreneurial and visionary leader with over 30 years of leadership experience in both corporate and start - up environments.His professional career has been distinguished by a highly successful track record in the development and commercialization of technology innovations and breakthrough businesses. He was the first Executive Director of the Stanford Institute of Innovation in Developing Economies(SEED).He also is the founder and President of Plebys International, LLC, a California based venture management company, and served as CEO of WaterHealth International, Inc.(WHI), a Plebys venture he transformed into a path - breaking company that through a unique and creative combination of break -through technology innovative business model, enables the delivery of affordable clean water to urban and underserved rural communities around the world.He serves on WHI’ s Board of Directors. Prior to founding Plebys, Tralance was an International Vice President at health care leading corporation, Johnson & Johnson(J & J), where, in a 20 + year career, he held a series of senior executive positions including Worldwide President of Advanced Sterilization Products(ASP), a Johnson & Johnson subsidiary he founded and established within the corporation.He led the development, commercialization, and rapid growth of ASP, establishing global market segment leadership, with presence in over 40 countries around the world.He had previously served as Vice President of R & D for Johnson & Johnson Medical, Inc.and a member of that company’ s Global Management Committee.Prior to J & J, Tralance held research management positions at Scott Paper Company in Philadelphia. Dr.Addy is an inventor with many U.S.and international patents, and is a Fellow of the American Institute of Medical and Biological Engineering.He holds M.S.and Ph.D.degrees in Engineering from the University of Massachusetts at Amherst, and B.A.and B.S.degrees in Chemistry and Mechanical Engineering simultaneously from Swarthmore College in Pennsylvania.He is also a graduate of the Advanced Management Program of the Harvard Business School.He was recently recognized by Swarthmore College with a honorary degree of Doctor of Humane Letters. Neela Gollapudi is Managing Director, and Head of Portfolio Management and Research at GenTrust, an Asset Manager that manages money for wealthy families and institutions. Prior to joining GenTrust, Neela worked for over 15 years at Citigroup, Barclays Capital and Goldman Sachs. At Citigroup, he built and led the Interest Rate Derivatives strategy effort, focusing primarily on idea generation and hedging strategies for asset managers, bank portfolios, central banks, mortgage investors, insurance companies and hedge funds. Prior to joining Citigroup, Neela traded multi-billion dollar portfolios of interest rate products in both market-making and proprietary capacities. He also held several interest rate strategy roles at Barclays Capital. Neela started his career at Goldman Sachs in the electronic market making group. Neela received a PhD in Finance from SUNY Buffalo, a masters from IIM Calcutta, and a bachelors from IIT Madras. Neelam Chhiber, Industrial designer, is co-founder Industree/Mother Earth, a hybrid social enterprise set up in 1994. Mother Earth is building an eco-system for India's underserved artisanal production base, that lies in the informal sector, deeply in need of equitable access to markets, design, updated technical training, enterprise incubation, and working capital instruments. The sector which encompasses traditional handicrafts and handlooms is being revived by Industree, as Creative Manufacturing. The endeavor is to highlight the potential of the sector for global sustainable growth, as with its transition into the contemporary landscape, it has a high potential for employment, specially for rural women. The scale up started in 2008, with the or-profit market end, Mother Earth being created and receiving investment from Future Ventures and Washington based Grassroots Business Fund, in 2011. The non-profit Industree Foundation is creating more solutions in the eco-system, starting with the incubation of a skill development company– Industree Skill Transform in partnership with National Skill Development Corporation in 2013.Industree Foundation leverages the government promoted model of producer collectives, called producer companies under Indian corporate law that are wholly owned by producers. MotherEarth holds a portion of its shares in trust, for these producer companies to buy into, at par, hence facilitating producer ownership in the brand. At the same time Industree Foundation advocates the formation of a hundred percent producer owned brand, for the sector of Creative Manufacturing. The company impacts 10,000 artisans currently and will close at 5 million USD of sales this year. Industree/Mother Earth has received the India Social Entrepreneur of the year award in 2011 awarded by the Schwab Foundation and the Women Changemakers Fellowship in 2013. Kishore Kumar is a serial entrepreneur focusing on Internet of Everything(IoE), cloud, mobile health, analytics and virtualization markets. Kishore brings a depth of experience in entrepreneurship, technology and product development having launched multiple startups himself. 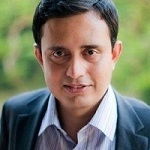 Kishore is a board member and advisor to multiple startups and non-profits around the world. 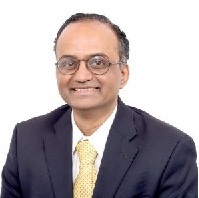 Kishore was the CEO of Pari Networks which was acquired by Cisco Systems in 2011. Currently Kishore is Founder/CEO at Nuviso Networks and Infore Inc. Kishore is part of NS Angel Ventures group where he is actively investing in multiple technology startup companies globally in Cloud, IoE, Virtualization, Health Care, Clean Energy and Mobility areas. In addition Kishore is actively involved non-profits and social impact companies in Education, Sustainable Farming and Entrepreneurship for kids. Kishore received a BS in Computer Science and an MS in Computer Technology with specialization in Artificial Intelligence. Cynthia Lang, a seasoned fundraiser and connector, coordinates engagement activities and strategic conversations with colleagues in the Bay Area and all over the world. She has deep familiarity with Brazil, its business culture and language; a keen interest in promoting social enterprise work. And in 2013, Cindy founded Go to Girl Brazil, the umbrella organization under which all of her Brazilian ventures and interests fall. Cindy serves on the Board of Sustainable Conservation, and is an Advisor to Embrace, a global enterprise that delivers low cost solutions to improve health outcomes in developing countries. Cindy was the co-Founder of The Lodge at Sun Ranch, formally named Papoose Creek Lodge, an award winning eco-tourism guest lodge in southwest Montana. In addition, Cindy is a founding member and Brazilian Initiatives Leader of the Silicon Valley Chapter of Ashoka. Cindy also has strong philanthropic ties to Stanford, having served on both the Stanford Associates Board of Governors and the Humanities and Sciences Council. Cindy recently joined the Advisory Board of the Institute for Research in the Social Sciences (IRiSS) at Stanford. Cindy received her Bachelor of Arts degree from Stanford University in French and English Literatures and her MBA in Sustainable Management from Presidio Graduate School. She uses her skills to create socially and environmentally responsible infrastructures. Ravi is an Author and Public Policy Catalyst. Ravi has written two books on health. “All About Bacteria”, published 2013 by HarperCollins, and "The Baby Elephant Diet" published 2015 by Rupa Publications. He is interested in addressing the root cause of illness, and in preventive health and nutrition. Ravi is also the official English translator of the poetry of Shri Narendra Modi, Honourable Prime Minster of India. The book, titled "A Journey, Poems by Narendra Modi", is a best-seller in India and the top selling poetry book of the last decade. Ravi spent five months full-time as a volunteer for the winning campaign of Shri Narendra Modi in the Indian national elections of 2014, where he played various roles in policy and grassroots campaigning. He currently spends half his time on public policy initiatives in India as a civil society activist and catalyst. Ravi has spent nearly two decades in senior roles in the asset management industry, including co-managing a $35 billion global equity fund at Fidelity Investments in Boston and London. He continues to advise corporates at the Board level, and serves as independent director on several boards. Ravi is also an angel investor, with nearly 20 active investments. He is a mentor and investor at JFDI, Singapore’s leading start-up accelerator. A research executive with over 25 years experience in industry and academia. Her interest area is: Enhanced delivery of social impact through international business. As a Distinguished Visiting Scholar at mediaX at Stanford University, she is a coach and mentor to entrepreneurs. She was also a Senior Research Fellow at The Digital Vision Program where she studied barriers and enablers for over 100 early stage social entrepreneurs in residence at Stanford University. Prior to that, she was Director, Strategic Planner and Founder at Hewlett Packard Labs of the Imaging Systems Lab, which delivered product ideas and advanced research for Hewlett Packard’s flagship printing, imaging and multi-media businesses. Ranjani Saigal is the co-chair for the TIE Boston Social Enterprise special interest group. As co-chair for TIE-SE, she serves as a mentor and provides support to many social enterprises. She has organized over forty events focused on Social Enterprise including three annual conferences including a recent one held at MIT. She works as a Senior Educational Technologist at MIT and has published several papers in the field of Digital Library and teaching with technology.A very active member of the Indian American community in New England, she is the founder and editor of one the most popular e-magazine Lokvani. Founded in 2001, Lokvani.com has over 45,000 subscribers, and has extensively covered key events and featured leading members of the community. A well trained dancer, she has created several productions, which she used to help raise funds for a variety of charitable causes. She is also actively involved with the IIT Alumni network and helped organize two Pan IIT conferences. She received her B. Tech from IIT Bombay and her Masters from University of Massachusetts. Anand Shah is responsible for identifying partnerships, new business areas, investment opportunities, and high-visibility ventures for BMW Group on issues that have direct impact on the future of the automotive industry and the future of cities. He has previously worked with Audi AG on social innovation projects that leverage Audi's core competencies to have social impact on water availability in India and on the ability for urban residents in the US to directly participate in renewable energy production. His previous role in private equity was identifying new growth areas and India entry strategy for international acquisitions in big data, defense (autonomous vehicles), and energy/water for IndUS Growth Partners, an affiliate of the Piramal Group with $2b in deployable capital. Founder of Sarvajal, one of Fast Company's 10 most innovative companies in India for 2013, and Indicorps, awarded the Gujarat Garima award by India's prime minister in 2003. He is known as a social innovator who has played a significant leadership role in India's modern public service / volunteerism movement, supporting India's social enterprise sector, encouraging the rise of several high-profile new university projects, and as an innovator in drinking water solutions for rural and urban communities. He has a broad experience in starting, building, and leading ventures with a fundamental commitment to significant social or environmental impact. 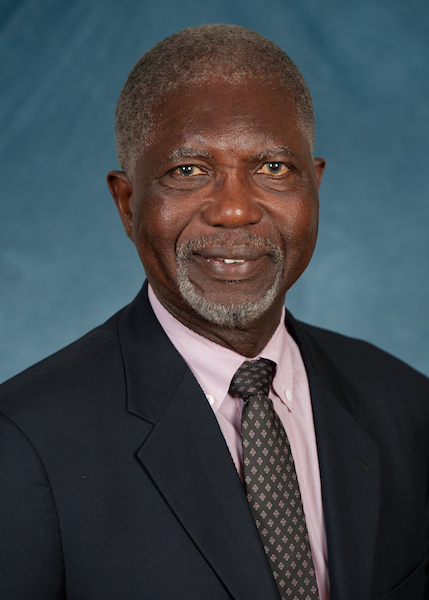 He holds several patents in drinking water distribution technologies. He has venture and personal coverage in The New York Times, Washington Post, Fast Company, the Economist, Forbes, Mint, Demand, in Habitat, India Abroad, India West, the Times of India, the Indian Express, Business India, SciDev, etc. He is also a recognized public speaker on authentic leadership, social enterprise/innovation, education innovation, and bottom-of-the pyramid solutions. He is a TED Fellow, and a fellow of the Aspen Institute's Global Leadership Network.